Power boxes are the magical boxes that create all the delightful sensations that E-Stim play can bring for both him and her. 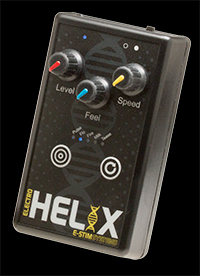 We currently offer 5 power units in our range from the newly released, simple to use but highly effective ElectroHelix™, created for beginners, with clear controls, and 5 program modes, the ElectroPebble® with 2 channels, 9 program modes and built in Audio, to the ultimate in E-Stim - the highly advanced 2B™. With 17 program modes, the ability to connect to the mains for more power, and your PC or Mac for control and updates, the 2B combines the latest in electroplay technology with a simple to use control system. 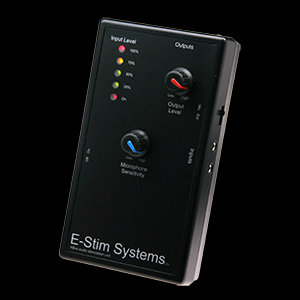 If you are looking for wireless E-Stim (remote control) then we can offer you the E-Stim Remote. 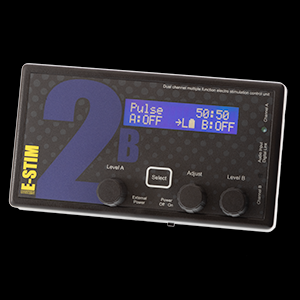 Our E-Stim Remote, a favourite of TV companies the world over, was the first E-Stim control unit in the world to feature a built in motion sensor. Then to top the collection off we have the ABox™, another E-Stim Systems exclusive as it was the first pure audio driven E-Stim box in the world. 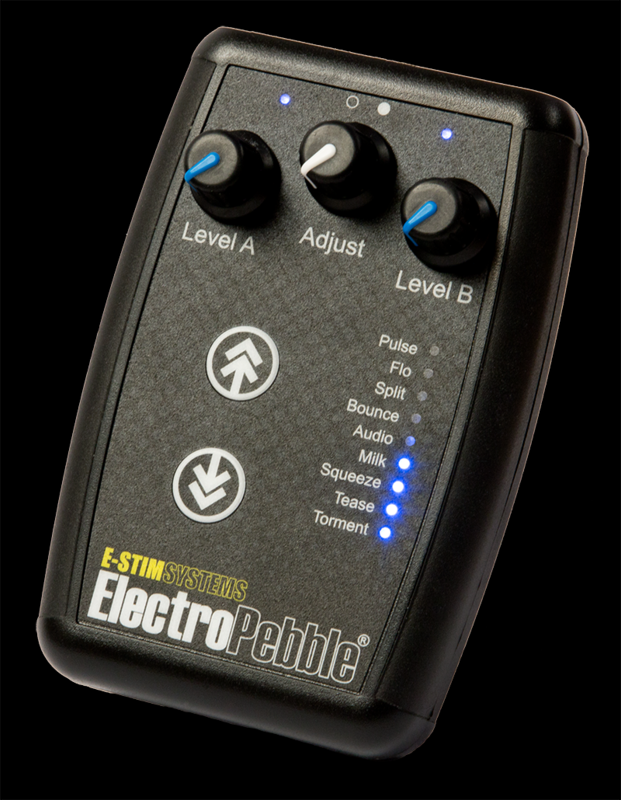 We like playing with sound so much, both the ElectroPebble® and the 2B™ both allow you to play with audio inputs. We develop and manufacture all of our control units here in the UK - it allows us to ensure that they are designed and built to the latest UK and EU safety standards - something you won't find on some cheap imported 'toys', and in addition all of our sales team actually use the products in their own personal lives, so you know we are offering advice based on our own experiences and not just on some pretty shiny box that looks good for five minutes but then is consigned to the bin. All of our E-Stim packs are supplied with a selection of accessories chosen to get you started as soon as possible, starting with a protective carry case, connection cables, sticky pad electrodes a manual and even a battery. You might think we have nothing more to give, but to give you additional peace of mind all of our control units, like our Premium electrodes are covered by our exclusive lifetime guarantee.